"Your iWorld apps were the first ... we could endorse whole-heartedly … Thank you for your quality, real, Montessori apps." " ... the simplicity ... means that children will be able to focus completely on the contents and they’ll definitely learn the material." "We love the simplicity ... and the friendly navigation system. Little kids can virtually use this app on their own and figure it all out seamlessly." • Active Intro - Touch a country to hear its name. • Passive Intro - Movie introduces each country name. • Quiz - "Ask Me" to locate a country. Option to repeat. Touch to reveal answer. 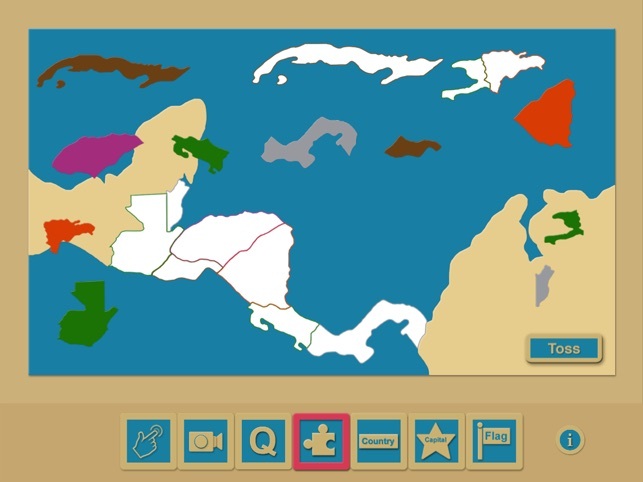 • Puzzle - Drag pieces to reconstruct map. 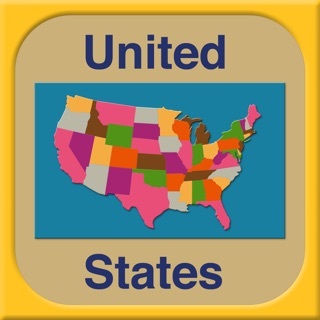 • Labeling - Pin drags freely in 3 activities to label countries, capitals, and flags. • Self-Correcting Quiz - Answer fades in; audio reinforces; no wrong-answer penalty. • User-Controlled Manipulatives - Pins and puzzle pieces drag freely around screen. • Fresh Challenge - Questions, labels, and puzzle pieces appear in different order each time. • Puzzle - Pieces disburse around screen edges; touch Toss button to scatter randomly. • --- Pass - Touch Pass button to skip a label. • --- Control Map - Touch lightbulb to show-and-hide map. Answer is highlighted. • --- Flag Viewer - Magnifying glass opens large-flag viewer. • Challenge increases as activities progress. • Children control the app's navigation; never locked into an activity. • Touch Puzzle and Label buttons within activity to restart. • No penalty for a wrong answer. • Correct answers simply reinforced. • No distracting bells and whistles. Geographers draw North America's southern boundary at Mexico's Isthmus of Tehuantepec, placing the majority of Mexico in North America. Following Montessori curriculum, Mexico is handled in North America's lesson. iWorldGeography North America is available in iTunes' App Store. 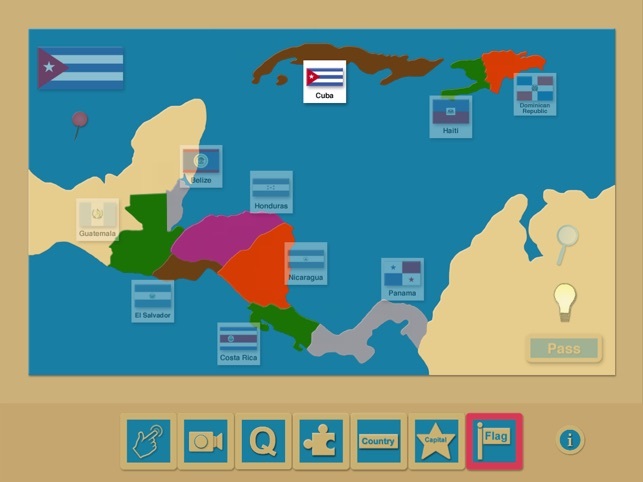 Why include Cuba, Haiti, and the Dominican Republic? American Montessori Society materials include these Caribbean neighbors in Central America's lesson. Touch Classroom Printouts button on app's title screen to access printouts for additional color, trace, and label activities. 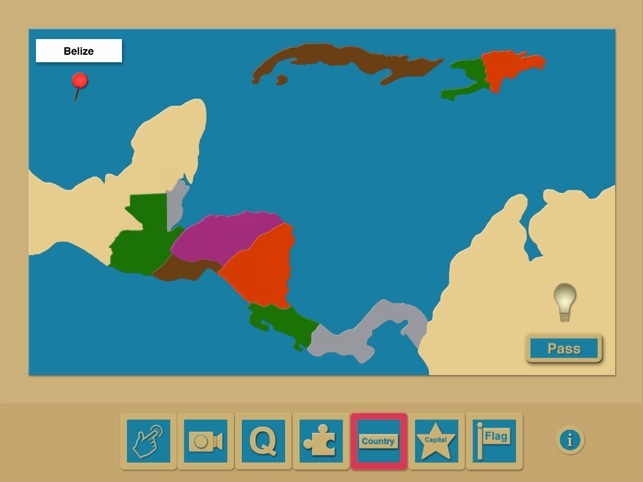 This is another great geography app from this developer. Clean and clear. Nice to have Central America broken out separately. 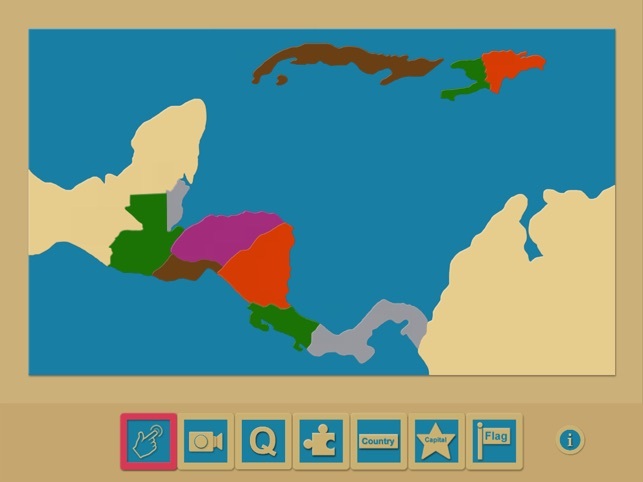 Initially, I thought this app was going to be terrific, since Central America is separate from North American. However, the app is missing several countries, which is disappointing. Such as, Bahamas, Puerto Rico, and Jamaica.